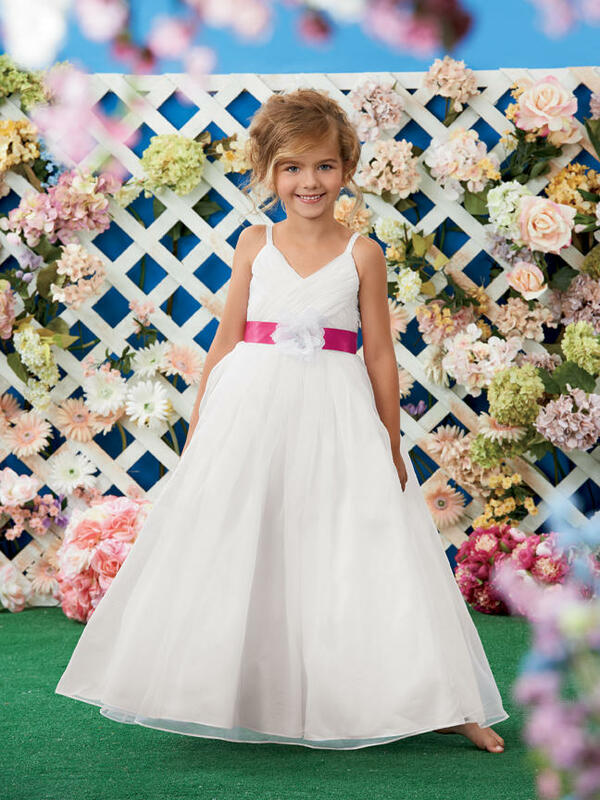 Shown in White and Azalea�Shirred V-neck bodice with spaghetti straps. Full floor length skirt. 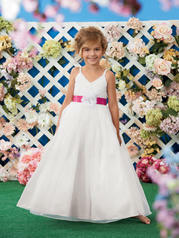 Satin ribbon with organza flower at waist. Also available in ankle length. Available in any combination of two colors.